New wineskins do not change the wine. New wineskins retain the wine, its fervency and its potency. They do not burst like old wineskins when New wine is poured into them. Ask God to show you your new wineskins. He just may surprise you. You may find yourself still in the same ministry but with a new and vibrant perspective on how to serve the poor, afflicted, oppressed and needy people in your community. I write all sorts of content as a freelance writer. I have no real niche. I write poetry and fiction. I write about religion as much as I write about sports and community activities and events. I blog, journal, present, teach, and edit online as a freelancer. 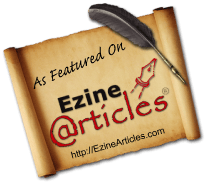 I write e-zine articles and post to multiple blogs. I write for a wide variety of audiences. 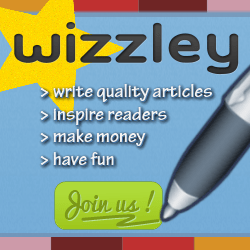 You can join me on my freelance journey at iWriter, too. I have published articles on Squidoo and HubPages, too. My articles include content related to writing grants and freelance writing opportunities. I also publish my own books of inspirational poetry on Lulu. Get a copy of one of the Bible studies offered by Life Path Ministries & Services. Subscribe to get inspiration from one of my other blogs either Rev Bruce or Life Path.
. . . I have become all things to all people so that by all possible means I might save some. I do all this for the sake of the gospel, that I may share in its blessings. The people of God are called to make a difference in this world. That’s why the Lord called us salt and light. We have a calling to make the world a different environment than a realm of sin and debauchery. He desires us to have a positive impact upon others by serving Him through our daily interactions within this world. We are to live in contact with the world, both believers and others. The Lord does not leave us on ea rth to live in isolation like the Essenes of ancient times, hiding ourselves from others of this world in order to remain pure among ourselves. We are to live in this world. We are to be in close contact and proximity with the world around us, making a difference in the world before the very eyes of those who are full of doubt and unbelief. We, as Christians in this society, must serve as the very salt and light necessary to purify what has become polluted and penetrate the darkness. God wants us in contact with others. God wants us actively making connections with the people who live in both doubt and darkness, the ones who live without hope. Jesus said that we should let our light shine so brightly that others would see our good works and glorify the Father (Matthew 5:16). In order to connect with them, we have to make contact with them. We have to shop with them, play sports with them, and hang out with them. We have to interact with them. We have to hang out with and be around them. We have to show them our light as the light of the world. I know you have heard some interpret Paul’s words of light having no fellowship with darkness as to mean that we should not have anything to do with so-called sinners, but that is an extreme interpretation of that biblical text. How can we impact a dying world without ever interacting with it? The onus is on us. We are to share the gospel with the hopeless and doubtful. It is up to us to reach those who do not know the love of Christ with a message of hope and a ministry of reconciliation. But as for you, teach what accords with sound doctrine. Older men are to be sober-minded, dignified, self-controlled, sound in faith, in love, and in steadfastness. Older women likewise are to be reverent in behavior, not slanderers or slaves to much wine. They are to teach what is good, and so train the young women to love their husbands and children, to be self-controlled, pure, working at home, kind, and submissive to their own husbands, that the word of God may not be reviled. Likewise, urge the younger men to be self-controlled. Show yourself in all respects to be a model of good works, and in your teaching show integrity, dignity, and sound speech that cannot be condemned, so that an opponent may be put to shame, having nothing evil to say about us. Paul shares some sincere instructions with Titus. He urges Titus to not simply preach the Good News. He encourages the man of God to teach what accords with sound doctrine. In doing so, Paul also urges Titus to engage others to teach others by example. He shares how the church is an intergenerational conglomerate of men and women of various ages who need to show each other and see each other, even their pastor, as a pattern of good works. Let mentoring serve as part of the foundation of your ministry. People come into the church all sorts of ways. They accept Christ at special events or during outreach efforts. They accept Christ as their Lord and Savior on street corners or during worship services. People come to Jesus by the work of the Holy Spirit, but they come to understand their new life in Christ through the mentoring and discipleship provided by the church’s leadership and laity. The Lord instructed His disciples to make disciples. That was the basis of the Great Commission. He did not say for them to recruit members or stand in judgment of people. He said for the church, His body, to make disciples by teaching and admonishing new converts in what He had taught them. That’s what happened after Pentecost. The people continued in the doctrine of the apostles. That means that they accepted and applied the teachings of the apostles into their own daily lives. Let’s mentor more. Let’s model more. Let’s make more disciples. You can raise money without a lot of fuss these days. There are all sorts of grassroots methods that seem to fit perfectly with social networking and social media sites. Post a video or add a widget to your site or blog, then watch people visit and even fund your projects. First, you need a worthy cause. Your project has to be connected to a cause. It needs to be a cause that gets people excited or touches them right at their hearts and souls. It should be the type of project that makes people feel like they can make a difference. Secondly, you need to make your project easy to fund. Make it seamless. Make it almost effortless. You fund projects via text message today. That makes it real easy. There are sites that offer you help and support, even tools, to raise money for worthy projects and these make it easy for both you and your donors. Paul (Saul) and Barnabas went to Antioch on a mission. Earlier, in verses 20-21, men from Cyprus and Cyrene went to Antioch and shared the “good news” and “a great number of people believed and turned to the Lord.” Word of this reached Jerusalem and Barnabas, who was “a good man, full of the Holy Spirit and faith”, was sent to Antioch where he encouraged the believers (vv. 22-24). That’s when he went for reinforcements, seeking out Paul (Saul) in Tarsus. The Book of Acts gives the Bible reader an account of the missionary journeys of Paul. Barnabas, also known as “Son of Encouragement,” went to Tarsus and brought his partner to Antioch. They spent a year there, teaching and discipling a diverse population of believers. Obviously, they did some good works because the people were called “Christians,” followers of Christ. At some point, their teaching and fellowship must have hit home with those with whom they shared the Word of God. Think it through. There were those who brought the Good News that sparked the movement among the people. Barnabas stepped in and offered some support to the new converts. After that experience, Paul (Saul) was brought in to assist Barnabas in discipling the people at Antioch. That was teamwork. The teamwork occurred in phases or stages. We need to examine the example of these men further. Our ministries need to do something similar. There needs to be a team who can go into uncharted territory and break new ground with the Gospel. They need to be able to share the Good News with fervor, winning hearts and souls along the way. They need to return to the house of God, sharing what they discovered as fertile ground, so that others like Barnabas can come in and edify the new believers with words of comfort, gladness and encouragement. From there, those encouragers can leverage their relationship with the believers and other evangelists and workers who can support and strengthen the believers. That’s teamwork. We need prayer warriors who can intercede on behalf of lost souls and those evangelists and missionaries. We need workers within the ministry who are taught and trained, equipped to do good works beyond the confines of the house of God. We need those who have the spiritual gift of exhortation, comfort, and other special gifts to serve in a variety of capacities in order to reach a dying world. It takes a team who can work together to bring a community together in the name of Jesus. 5 Who then is Paul, and who is Apollos, but ministers through whom you believed, as the Lord gave to each one? 6 I planted, Apollos watered, but God gave the increase. 7 So then neither he who plants is anything, nor he who waters, but God who gives the increase. 8 Now he who plants and he who waters are one, and each one will receive his own reward according to his own labor. 9 For we are God’s fellow workers; you are God’s field, you are God’s building. >You need more than a idea. You need ideas that go further than the other guys- the competition. You need enough ideas that can drive traffic to your site and attendees to your trainings and workshops. You need plenty of ideas. You need some great ideas that will get you ahead of the competition by leaps and bounds. You need to discover your own discovery zone. Find out where you generate the best ideas and where you generate the most ideas. You need to discover you discovery zone. Beyond discovery, you need to be sure that you are comfortable as well as secure in that zone. The discovery zone should be the type of place whee you can “escape” all of the other stuff that seems to get in the way and distract you from doing all of what you can do. Get more ideas that will get you ahead of the pack. Get into your own discovery zone.